India’s decision to launch airstrikes against Pakistan in response to a suicide bombing in Pulwama that killed at least 40 paramilitary personnel will have long-term military as well as electoral consequences. Two nuclear-armed states have launched airstrikes against each other’s territory for the first time. In election-bound India, as the ruling Bharatiya Janata Party (BJP) uses the airstrikes against the militant camp in Balakot for electoral propaganda, two things are clear: Democratic compulsions may have informed India’s decision to strike Pakistan, and democratic checks that should prevent politicisation of military action have not worked so far. In a democracy, elected representatives respond to a crisis out of compulsion. Hiding a crisis is not a choice available to them. Studies find that democracies, unlike authoritarian states, avoid famine-related fatalities. This is because deaths resulting from hunger represent government failure, and a free press and public anger will hold the government’s feet to fire. Terror-related deaths and destruction impose similar compulsions. In the age of television and social media, governments lose credibility if they fail to respond to a terror attack, especially when it originates in an enemy country. While wars should not be fought based on public opinion, discounting the role of public opinion is unsustainable for democratically-elected governments. In India, terrorism-related violence has gradually built a significant enough national electoral constituency for military action against Pakistan for three reasons. First, terror attacks by Pakistan-based groups have not been confined to Kashmir, but have targeted civilians and security forces across India. Delhi, Mumbai, Bengaluru, and towns in Punjab and Uttar Pradesh have all suffered attacks at different times. Second, bodies of security personnel killed in Kashmir return to many states, with each funeral adding to the public anger. The personnel killed in the Pulwama attack, for instance, belonged to at least 16 different states. Third, television channels and social media amplify the hurt by priming those audiences that are not directly touched by the terrorist violence. Multiple studies show that Pakistan is the country Indians view most unfavourably. The exceptionally jingoistic discussions on television exacerbate popular political pressure, especially against Pakistan. Finally, beyond a point, the lack of a military response lowers morale and produces discontent among the security forces. The accumulating public anger incentivises actions by belligerent political entrepreneurs who exploit military action for electoral gains by promising retribution. In India, these entrepreneurs point to the military responses of other democracies, the United States and Israel, specifically, that have attacked terrorist groups across international boundaries. Prime Minister Narendra Modi’s actions should be viewed in this context. If not him, another leader may have responded to these attacks similarly, although he or she may not have made as much political capital from the situation. In a democracy, which has jingoistic elements, maintaining public support for strategic restraint becomes an uphill task with each new terrorist attack. The airstrikes on Balakot demonstrate that given rising audience costs, democracies can develop a repertoire of visible retribution, even under conditions of nuclear overhang. The retribution is dangerous and carries a real risk of escalation. However, military inaction becomes a vanishing option as terror attacks continue. 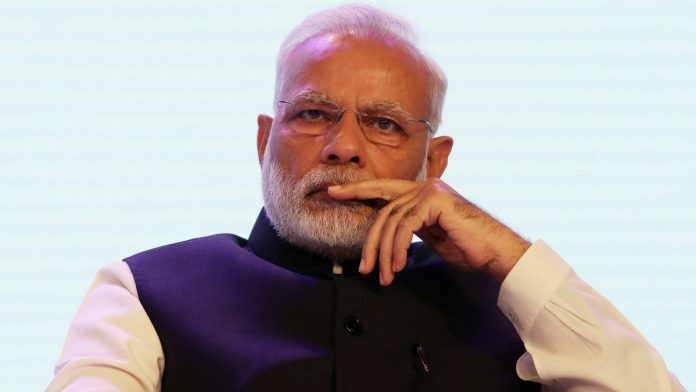 Balakot, and Modi’s putative response, may have ensured that all Indian prime ministers from here on, including Narendra Modi, will be held to a different standard on how they respond to terror attacks. Some degree of politicisation of military action is inevitable in a democratic setting where the elected leadership gets blamed for military failure. Therefore, it will also claim credit for successful military action. But if unchecked, politicisation can easily cross boundaries and turn into propaganda. We have already witnessed such behaviour in the aftermath of the airstrikes on Balakot. Ruling party politicians most likely provided exaggerated figures of terrorist casualties, the Prime Minister and the BJP president used the images of soldiers to drum up electoral support, the BJP’s Karnataka chief projected an increase in the party’s seat share, and one enthusiastic party leader in Delhi showed up in military fatigues for a political event. India has few institutional checks in place for such behaviour. Still, as long as the government’s security policies are scrutinised closely and debated by the opposition parties, a government may hesitate before using the military for electoral propaganda. Why has India’s multi-party democratic environment failed to impose this check on this occasion? Presently in India, one party, the Hindu nationalist BJP, has political credibility on defence, especially with reference to Pakistan. This is in no small part due to its linking of Pakistan and anti-Muslim mobilisation in India. By contrast, the Congress party carries little credibility on national security matters today. Two reasons explain the Congress party’s weak credentials on this critical issue. First, the party has failed to communicate its policy of strategic restraint against Pakistan to the voters and comprehend the electoral consequences of such poor communication. Second, and perhaps more importantly, the taint of corruption and nepotism has stuck to the party and undermines its credibility to manage India’s institutions, including its military. The uncontested ownership of the national security issue by the BJP makes the party less accountable for its behaviour. This does not serve India’s national interest. No country can afford to alienate a large section of its population and expect to maintain political order. Amit Ahuja is an Associate Professor of Political Science at University of California at Santa Barbara. Pradeep Chibber is a Professor of Political Science and Indo-American Community Chair in India Studies at the University of California at Berkeley. A little early in the day to draw long term strategic conclusions from Balakot. The basic facts of what the mission successfully achieved remain unclear; as the issue is politicised, these will be stridently contested. A little unclear how much of the anger towards Pakistan – notably in the TV studios – is spontaneous, how much synthetic, manufactured. The swift move up the escalatory ladder was thwarted by robust external mediation, which may not always work. Deeper thought and reflection are required on the way forward.